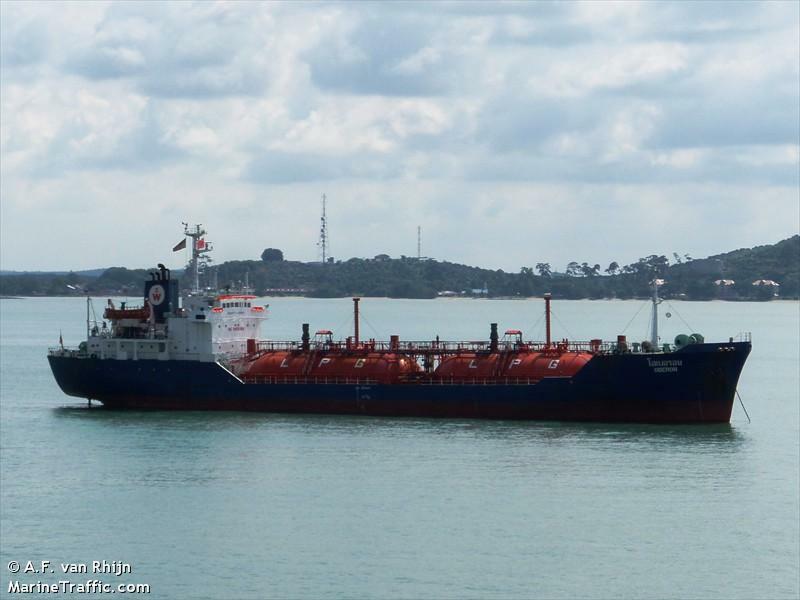 The 93 meter long, 2980 dwt LPG tanker Oberon ran aground in the Taiwan Strait in Penghu, Taiwan. 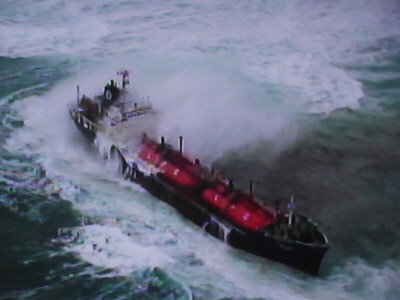 The Oberon was proceeding to Maptaphut from Taiphung with 1,000 tons of liquified petroleum gas when it was driven onto a reef by high winds and five meter high waves. The master contacted the Taiwan Coast Guard for assistance. The Coast Guard dispatched a helicopter who winched all 16 crew to safety. 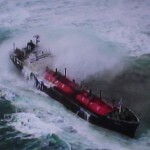 The vessel hull was ruptured and the cargo of butane. Reports state that a slick has formed around the vessel and has drifted some five kilometers. Authorities has dispatched a response team to contain the pollution. 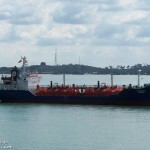 One report states the tanker may breakup before any salvage can be done.